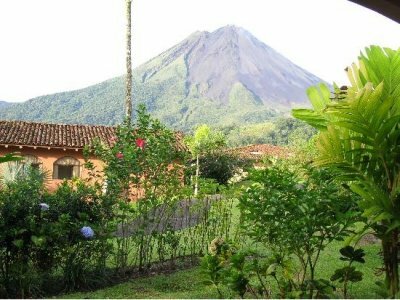 Mountain Paradise Hotel located in Arenal Volcano Costa Rica, is truly a luxury hotel designed with every client’s comfort in mind. 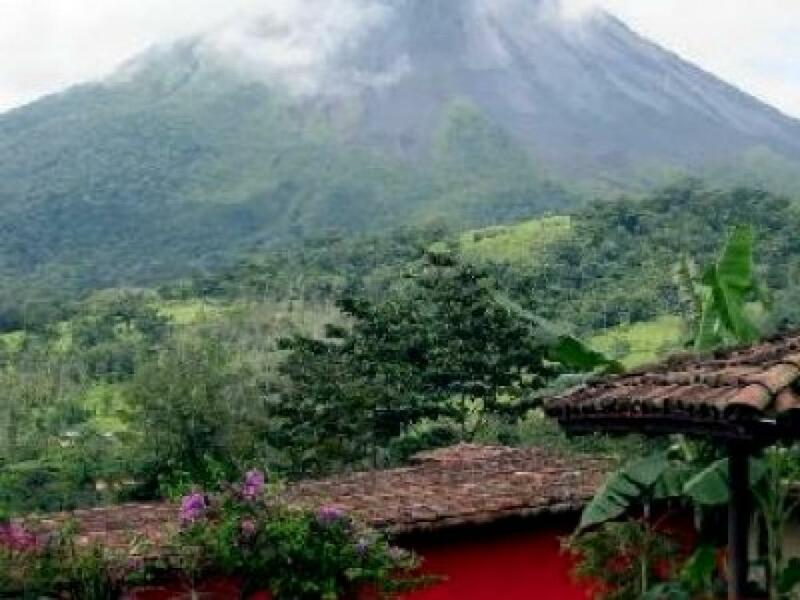 The location of the Mountain Paradise hotel is perfect, just a few minute’s drive from La Fortuna and Arenal's Tabacon hot springs, yet hidden away on a mountain top. 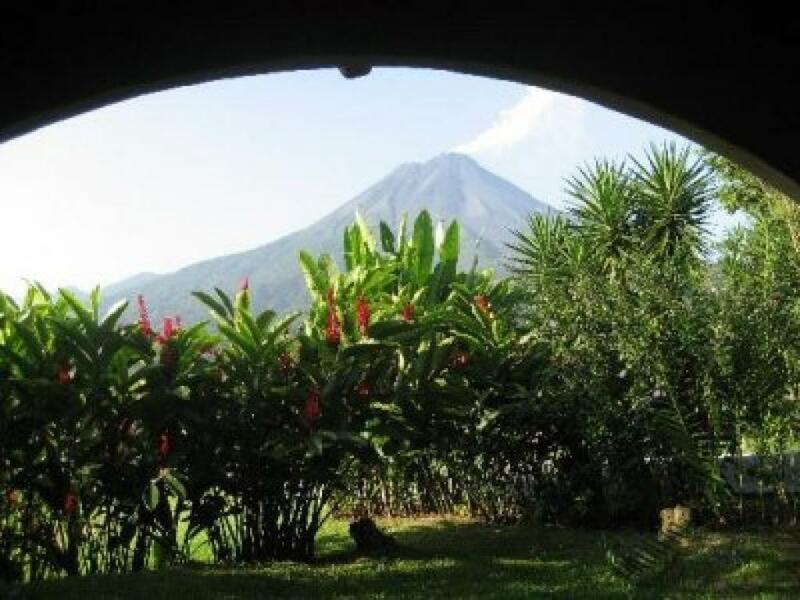 The view of Arenal Volcano from the rooms, restaurant and pool area is magnificent. 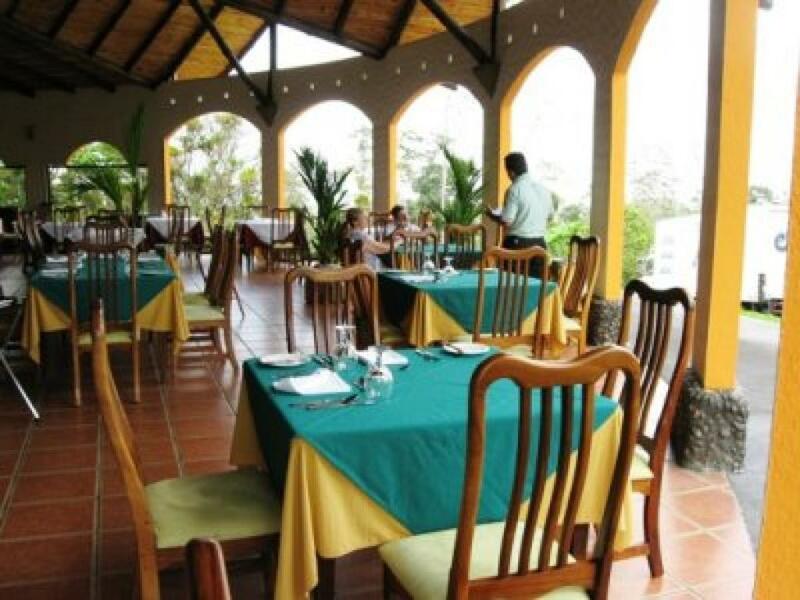 Mountain Paradise hotel has a restaurant with an international menu making it a perfect place to relax and use as a base as you explore the Arenal Volano area. 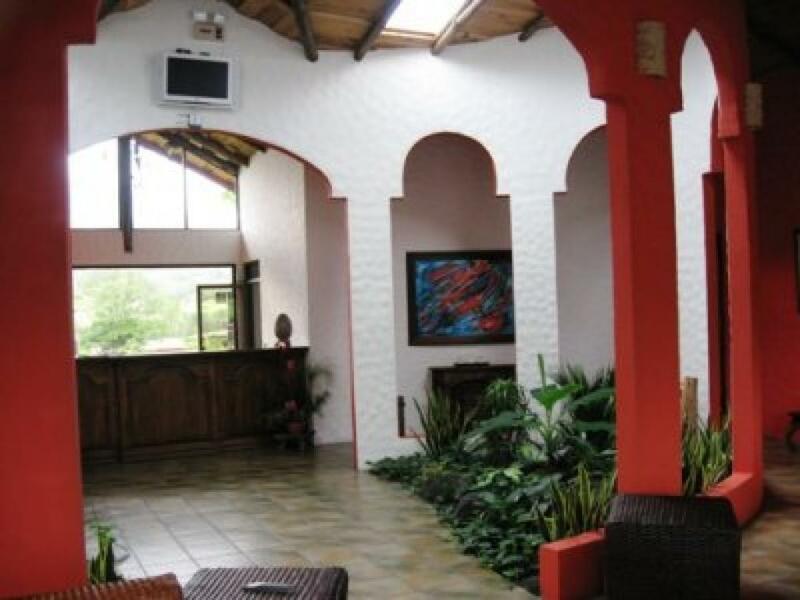 Mountain Paradise hotel has a central parking area to minimize noise - golf carts are available to take you to your room if desired. 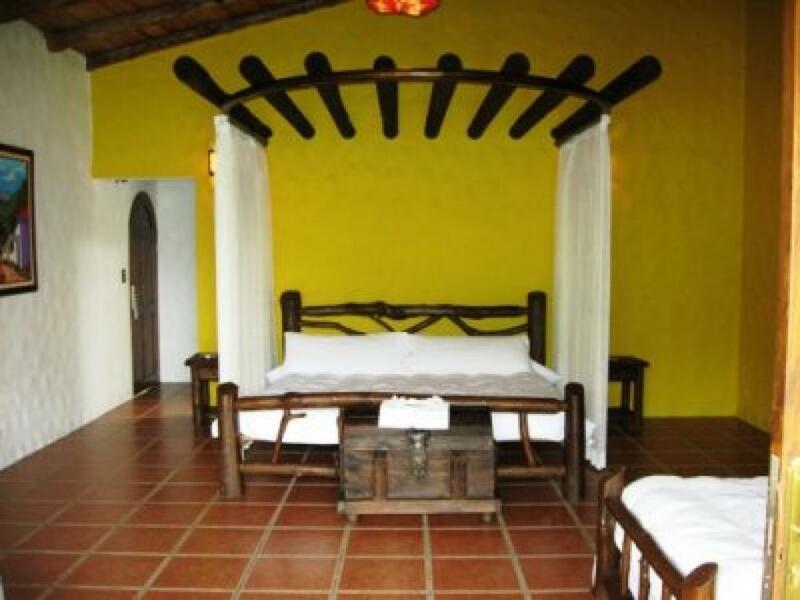 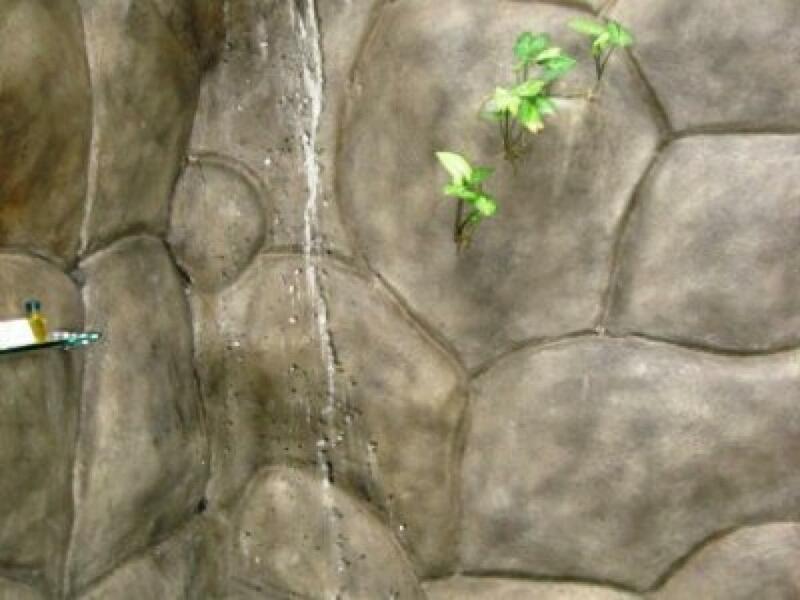 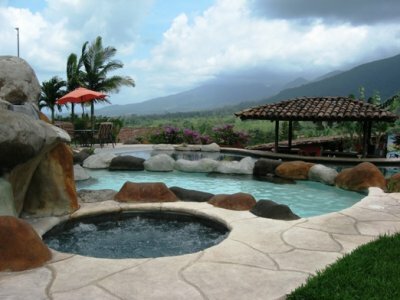 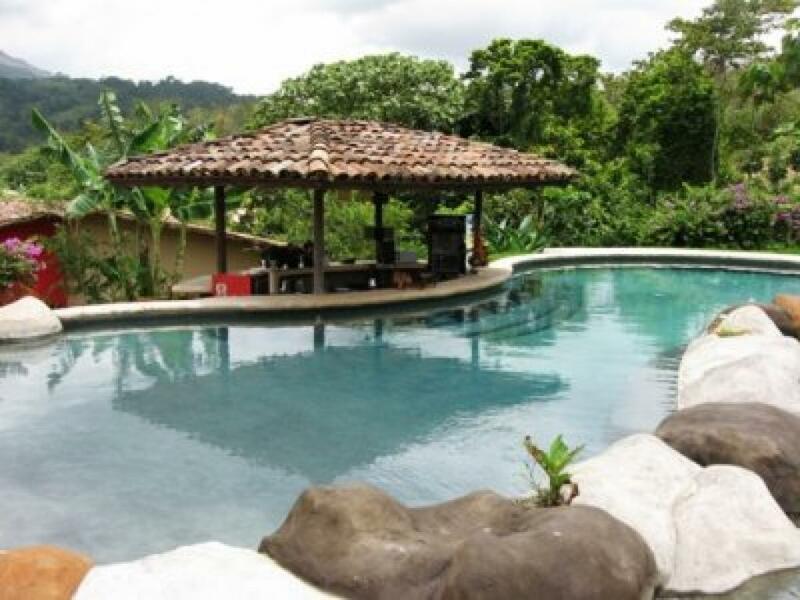 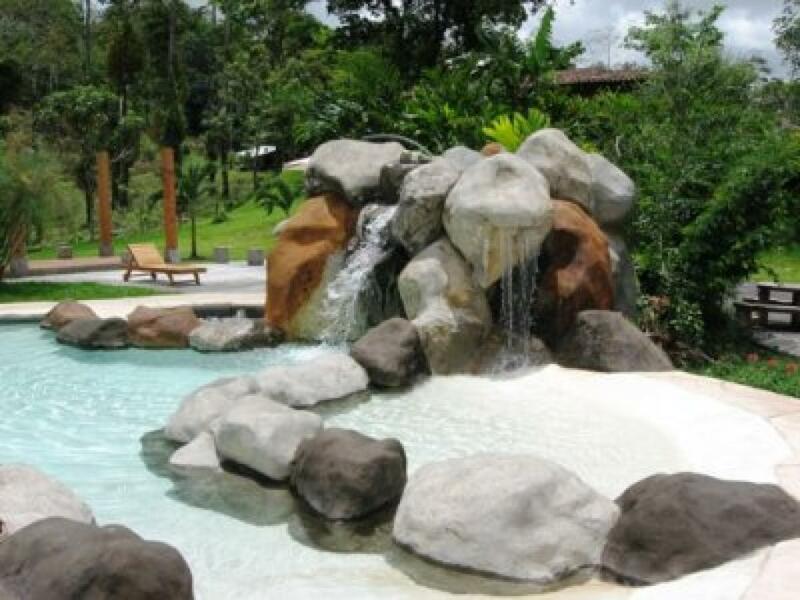 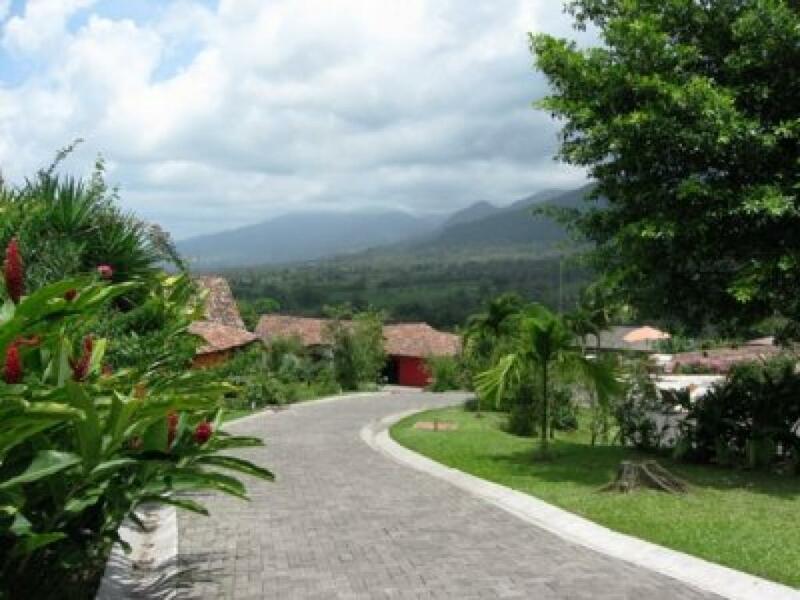 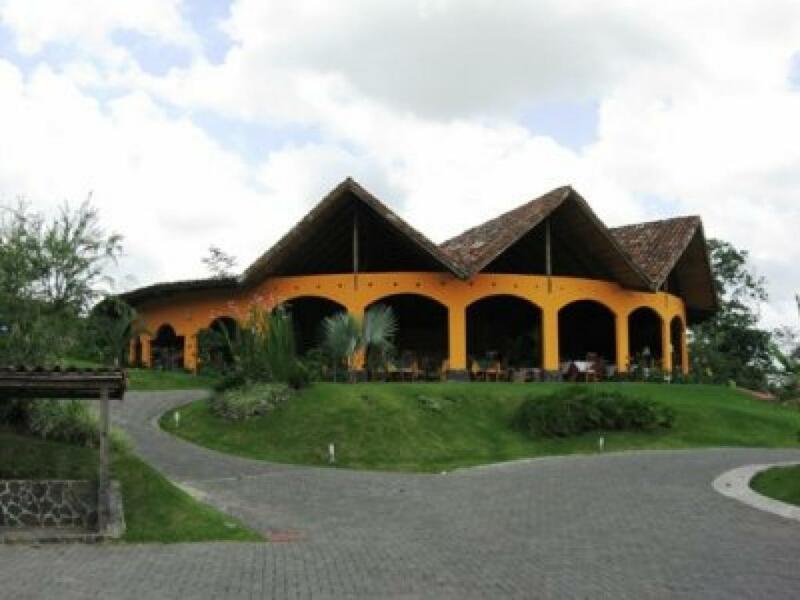 The hotel has two small pools an adult pool with a wet bar and a children’s pool, all with Arenal Volcano views. 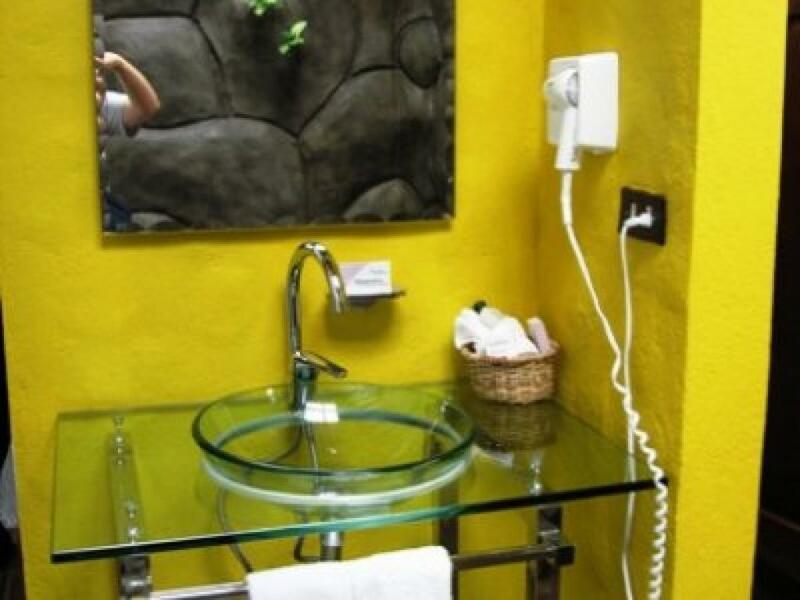 In total Mountain Paradis hotel has 15 premium suites, 12 junior suites and 3 master suites. The master suites have of the above plus an extra bedroom with two single beds, kitchen area and mini-bar. 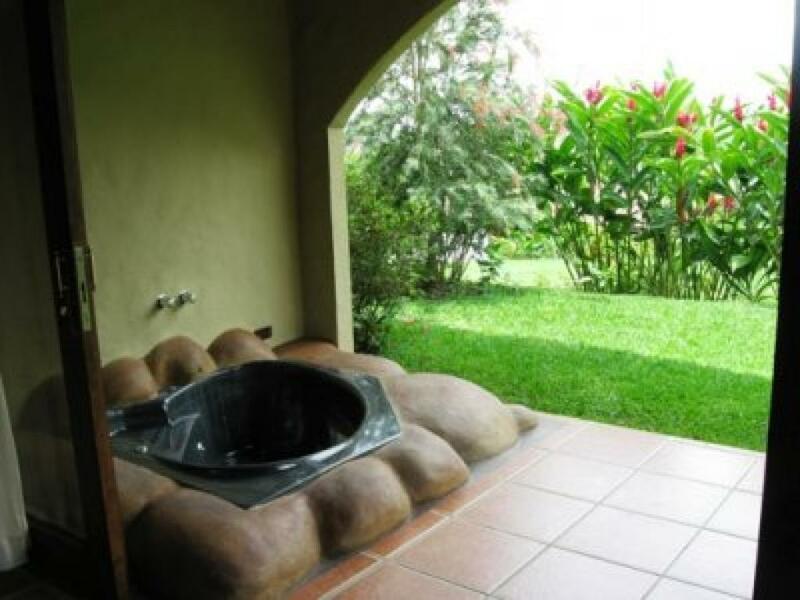 The main bedroom also has a ‘hydro massage’.